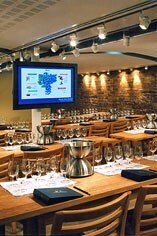 Our Wine School offers tutored evening wine courses. Your palate is given a quick warm-up with a refreshing aperitif before the lesson begins. The focus is the practical aspects of enjoying wine via evening classes. A selection of finger food, such as olives, nuts and cheeses, will be served during the evening. 4-6 sessions per course from 18.30-20.30 in the Pickering Cellar, 3 St James's Street, SW1A. 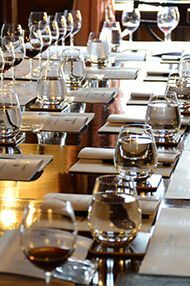 Berry Bros. & Rudd Introductory Wine School is a tutored evening wine course for those with little or no previous wine knowledge which takes place in our historic London wine cellars below our shop at 3 St James's Street. View a virtual tour of the cellars here. We advise early booking as places are limited to 32 and a maximum of 4 tickets is permitted per customer. This evening course is perfect for those who have a grasp of the most common grapes – perhaps having already conquered our Introduction to Wine Course – and are keen to learn more. The course takes place over six weeks, covering the world’s most famous wine regions. You will learn about the style, quality and price of wines produced in Burgundy, Rhône, Italy, Spain, Champagne and – of course – Bordeaux. You will also have the chance to sample the Old World’s rivals, wines of similar styles being made in the New World today, deciding for yourself which you like best. 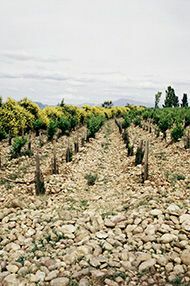 You will leave the course with a better understanding of why these regions have made a name for themselves, and just what it is that makes their wines unique.